17 1/2 x 22 inches. 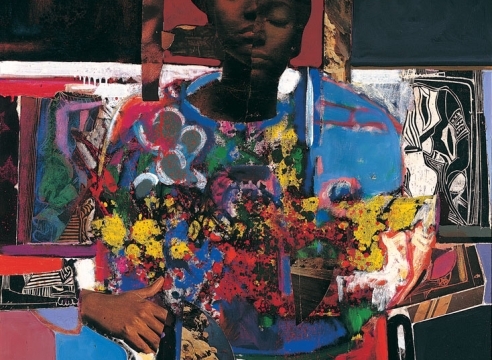 Highly regarded as an artist, scholar and curator, David Driskell is cited as one of the world’s leading authorities on the subject of African American Art. 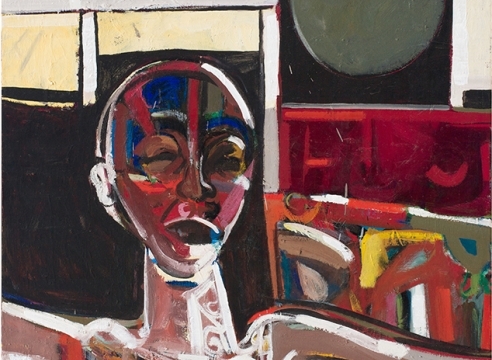 He has been the recipient of ten honorary doctoral degrees and has contributed significantly to scholarship in the history of art on the role of Black artists in America. 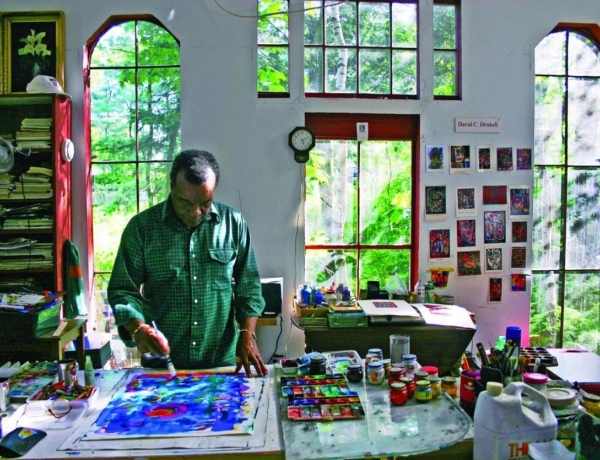 He has authored seven books on the subject of African American art, co-authored four others, and published more than forty catalogs from exhibitions he has curated. 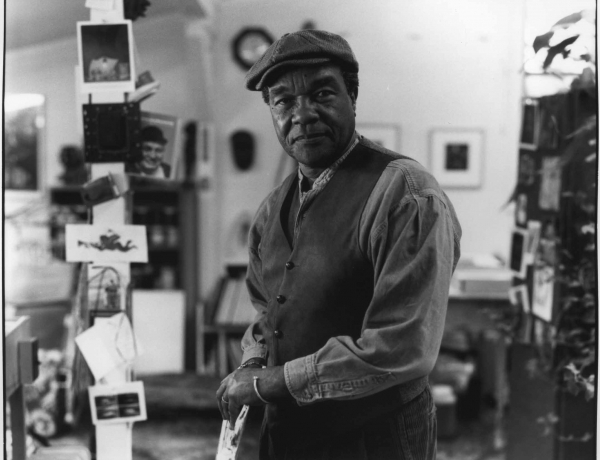 His articles and essays on African American art have appeared in major publications throughout the world. 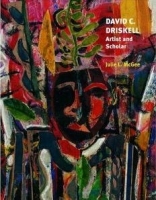 Driskell was born in 1931 in Eatonton, Georgia, USA. 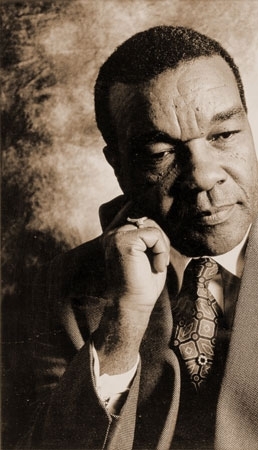 He was educated at Howard University and received the Master of Fine Arts degree in 1961 from The Catholic University of America in Washington, DC. 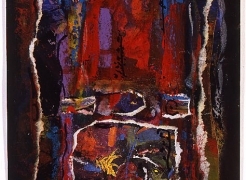 He currently holds the title of Distinguished University Professor of Art, Emeritus, at the University of Maryland, College Park. 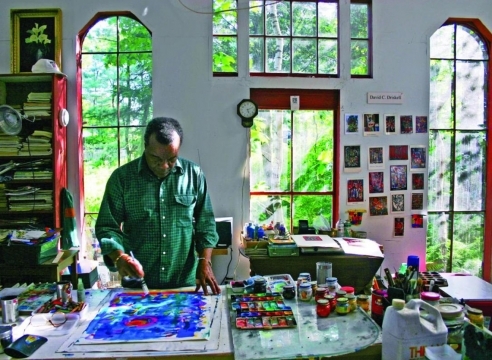 He is recipient of the Distinguished Alumni Award in Art from Howard University in 1981 and from The Catholic University of America in 1996. In October 1997, Driskell was awarded the President’s Medal, the highest honor the University of Maryland bestows on a member of its faculty. He received the Presidential Medal from William Jefferson Clinton in December 2000 as a National Endowment for the Humanities recipient. 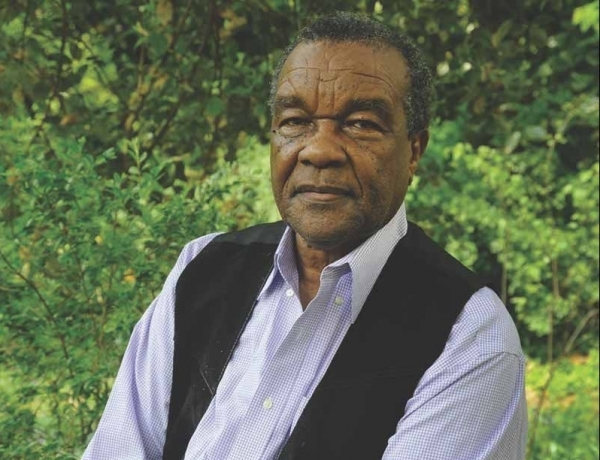 Upon his retirement from teaching at the University of Maryland in 1998, The David C. Driskell Center for the Study of the African Diaspora was founded to promote his scholarship and service to the University. 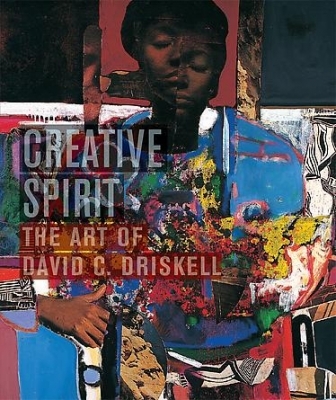 Trained as a painter and art historian, Driskell works principally in collage and mixed media. 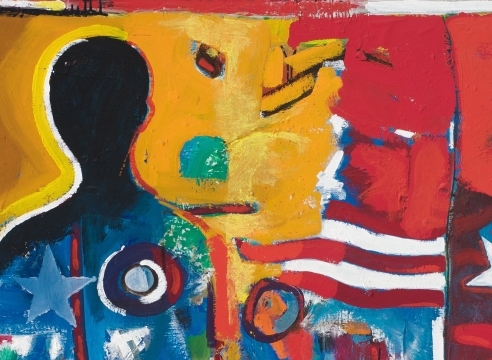 His paintings and prints have been featured in numerous solo and group exhibitions in galleries and museums throughout the USA including the Corcoran Gallery of Art, the Baltimore Museum of Art, The Oakland Museum and The Whitney Museum of American Art, among others. 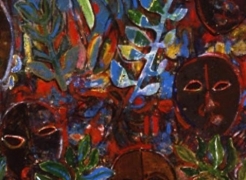 He has exhibited internationally in England, Holland, South Africa, Poland, Brazil, Japan and Chile. 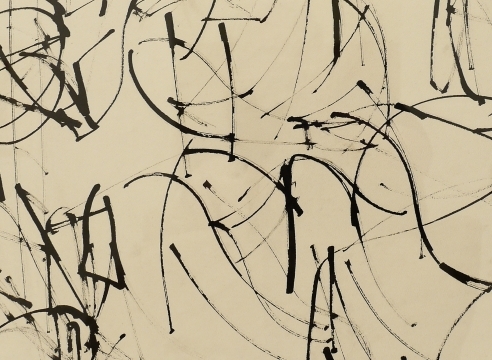 He has been the recipient of several foundation fellowships among which are the Harmon Foundation, three Rockefeller Foundation Fellowships and the Danforth Foundation. 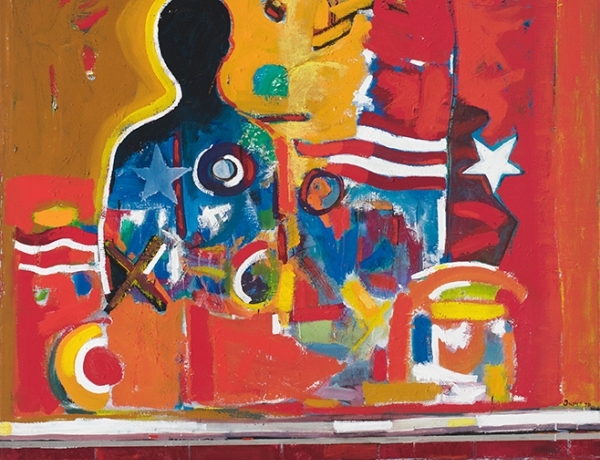 The Arthur Ross Gallery is proud to announce that David C. Driskell, distinguished artist, professor, and scholar in the field of African-American art, will present the third annual Susan T. Marx Distinguished Lecture on March 21, 2019. 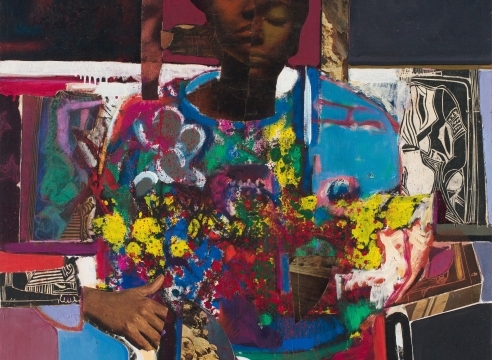 Dr. David C. Driskell, one of the world’s leading authorities on the subject of African-American art, will give a lecture discussing his personal memories of Romare Bearden and his incredible works as an artist. 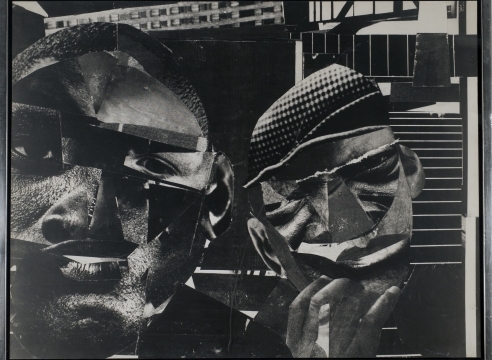 Romare Bearden and David Driskell in "Soul of a Nation: Art in the Age of Black Power"
Black Art in America: David Driskell "Resonance: Paintings, 1965-2002"
Blouin Artinfo: David Driskell's "Resonance: Paintings, 1965-2002"
David Driskell: 1960s and 1970s from DC Moore Gallery on Vimeo.